Family is more important than most anything in this life. Our family needs our attention, love and dedication above anything else. When we’re learning a foreign language being able to identify things that are important to us in the new language is a great way to start! 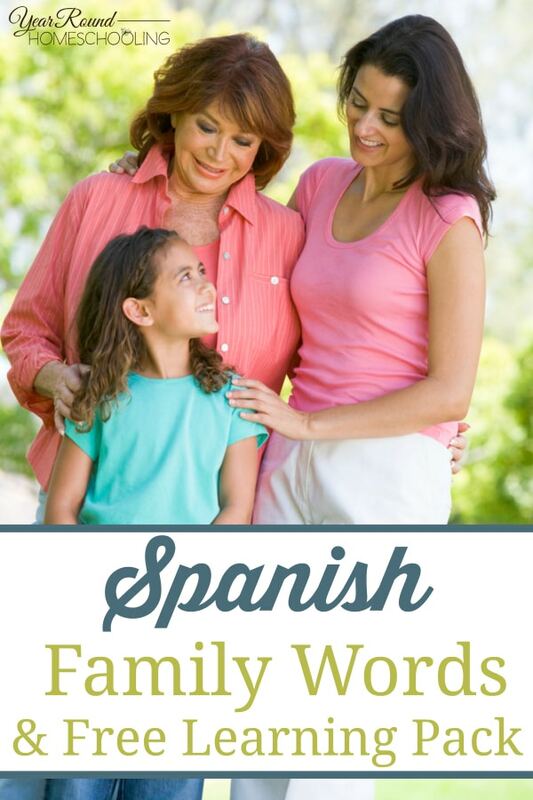 Do you know how to say important family words in the Spanish language? 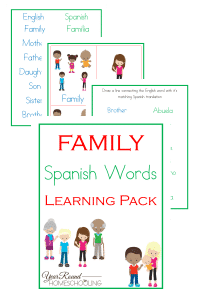 If you and your children are learning Spanish this year, learning how to pronounce family names such as; Mother, Father, Brother and Sister, is important! 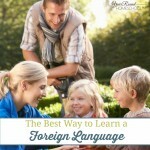 When you can identify with the language you are attempting to learn, you are more apt to continue learning that language! 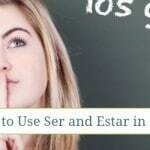 Spanish is the language that is near and dear to my heart after spending the summer I was 16 in Mexico with my grandparents on the mission field. Someday I hope to take my children back to where I spent the best summer of my life. 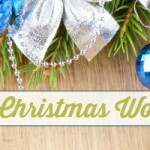 I want them to see what I saw, to learn from people who live with so much less and still live life and love fully! 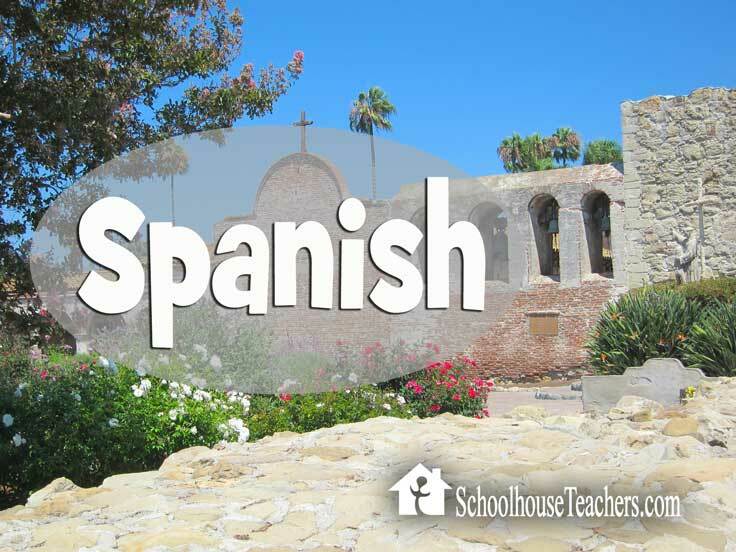 My family roots go back to Mexico and I love remembering hearing and speaking the Spanish language as we learn it again together! 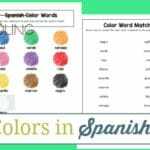 Below you’ll find links to audio translations that will help your children learn to pronounce Spanish family words correctly. 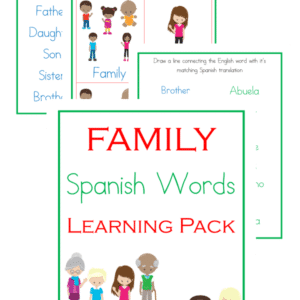 To receive this Spanish Family Words Learning Pack you MUST sign up to receive our emails below.